Why talking about French leaseback problems ? Because there are a lot ! The buyer benefits of several tax breaks by the French government. At this stage, what the real estate agent promised comes true. The private investor doesn’t has to bother about the furnishing of the flat. He or she doesn’t have to manage the rent of the apartment. Better, the operator guarantees the payment of attractive rents not depending on the real occupancy of the apartment. The operator pays the rent even if the flat is empty. It last for the nine years of the lease contract (or should). However, the lease contract is here a commercial lease, which follows specific rules under the French law. This set of rules applies for businesses. It protect the lessee and the stability of the businesses. It wasn’t designed for private investor, with no knowledge of the French law. Unfortunately, the commercial lease protects a very long term relationship, ie 9 years and usually 18 years. But a lot of owners have to face legal issues. The profitability promised when signing the contract disappeared. On paper, an investment in a leaseback has everything to please: tax reduction, return of VAT, full discharge of rental management and perspective, often too much vaunted, to achieve a good profitability. But some owners are quickly disappointed. Nobody told you about french leaseback default. They often have the unpleasant surprise of meeting all sorts of difficulties in the payment of their rents: recurring delays going up to the unpaid rent for months or years. Risks that seriously change the attractiveness of investment. The investor should know about the French leaseback problems. Some managers prefer to control their cash flow to the respect of their contractual duties. Owners find themselves having constantly to claim their rents. That’s why so many articles talk about French leaseback problems or even French leaseback scandal. In addition, owners can not afford such flexibility with the payment of monthly mortgage loan. Too much delay in payment may lead the lending banks to demand full and direct repayment of the loan. It sometimes put the owners in great financial embarrassment. That’s another big French leaseback problem. In case of unpaid rent, the owner must act quickly if he wants to recover his arrears of rent. At this stage, a simple email/letter isn’t enough. You have to move quickly to the next step. The owner will have to send a “command to pay” (CDP), by bailiff, for the cancellation clause of the lease contract. The official warning will mention that the tenant has a period of one month to pay the rent. Following the lease term, the landlord/lessor has the right to terminate the contract, after one month. The landlord then has the option to fill a case in court and to request the eviction of the operator. This threat may be enough to motivate the unscrupulous tenant to pay his unpaid rents promptly. If it does not run, the operator is liable to pay unpaid rent, but also legal fees (bailiff and lawyer), and possibly an occupancy allowance. After 9 years, the cost of the repairs is among the first unpleasant surprises of the investor in French leaseback scheme. Indeed, it is common that during commercial lease, the operator asks for renovation of all the apartments. The bill can then rise to a year and a half of rent. One of the many French leaseback problems for the owners. Before investing, the buyer should assess the quality of the apartment he is about to buy. He has to check the extent of any repairs to be done. Of course, nobody told you that. They were insisting on a financial and government secure investment. General expenses of the building are first paid by the operator. The managing company is usually a company of the same group. After 9 years (and a change in the French law), the operating company refuses to pay general expenses of the building. The operator is even pretending the cleaning staff paid by the owners is not cleaning the rooms but only the commons. At the renewal of the commercial lease, the operator of the residence often seek to revise the amount of rents downwards. Economic conditions and competition are among the most cited reasons for this decreased rent. It is usally the first time you hear about “bail commercial” (commercial lease in France). Some operators receive an amount paid by the Promoter to purchase the building, whereby they artificially inflate the rents during the first nine years of the Commercial lease. They know that after 9 years a set of rules will force the renegotiation of the rent and finally the decrease. These rents do not reflect the state of the local rental market at the time the commercial lease is concluded (i.e. they are very high). Here starts the french leaseback scandal. It is very likely that the operator will ask to renegotiate a drastically lower amount to renew the commercial lease. Even if the owner is free to refuse a lower rent, the trap closes when he realizes that he could lose his tax return. And that he will pay the general expenses and the rental management alone if his apartment is not operated by another operator. It is not 100% like that, but usually the owner doesn’t ask for legal counsel of a real french leaseback lawyer. To get out of this slump, the owner may decide to sell his property. However, the government agrees to a 100% VAT refund only if the flat is rented during 20 years. If not, the owner has to refund to the tax authorities the VAT to run until the 20th year. For example, if it is after 9 years: 9/20 of the tax return. This fact, weighs heavily in the balance at the renegotiation of rent. The owner is torn between the significant decline in the amount of rental income decreasing the gains of a possible resale of his apartment and the loss of tax benefits. But the most significant issue is the eviction compensation. It is up to several thousands of euros for a simple flat. The owners don’t to pay the tenant, who is refusing to continue the lease at the same rent. That’s why you can read about French leaseback scandal or french leaseback nightmare ! The french leaseback forums are full of testimonies of French leaseback problems. Irish owners even wrote a french leaseback petition to the European union commission in Bruxelles. Irish owners even wrote a french leaseback petition to the European union commission in Bruxelles. You have to find the right french lawyer to fight for you in french courts ! Please feel free to ask us a written question! The French leaseback property is a hotel, belonging to a co-ownership of individuals. Some co-owners of a flat under a leaseback scheme have terminated their contract with the operating company. The tenant wants to bill them for some of his commercial and touristic services in the building. These co-owners of leaseback in France are not required to bear the expenses related to several contracts. Especially, they don’t have to pay for the reception contract on the ground floor. Meaning, the labors contracts of operator’s employee. These costs were in the common expenses of the co-ownership before. Now, several co-owners are out of the original scheme in which the operating company takes care of everything and send invoices at the end of the year (paid on the rent directly). The leaseback in France is now managed by the operator, but you are no longer a part of it. You cannot continue to pay for the commercial et hotel services provided by the operating company. The reception corner at the entrance of the building is a commercial service of the operator, which has no utility or value for this co-owner of a leaseback in France. The operating company of the leaseback in France lost the case against these co-owners. How to terminate the lease of the operator ? There are several ways to terminate the lease of the operator of a French Leaseback. Usually, it after the commercial lease ends. But, if there are several breaches of contract, it is possible to fill a case in court in order to ask for a termination of the commercial lease before the end. It is a lost of income for the tenant, as a result, it has to a major breaches of contract. First of all, unpaid rents can be seen by a judge as a major breach. Especially, if the operator didn’t pay after a CDP (commandement de payer) from a bailiff (official warning of termination if the debt isn’t paid within one month. The tenant might keep his lease, if he pays the debt just before the hearing. Same result if the judge agrees to a schedule of payment. Furthermore, non renting to tourist if it is a “tourism residence” according to the commercial lease, is also a major breach of contract. Likewise, Renting to everyone or to the town for emergency purposes of a student house is another breach of contract. Finally, all the breaches of the provisions of the contract could be regarded as major, if there a lot of them. The court decides case by case, depending on the tenant and his defense. 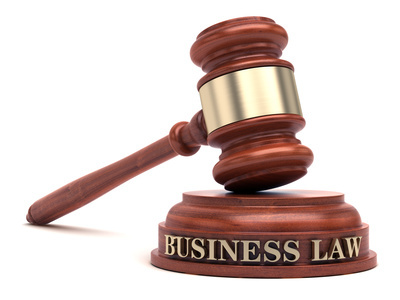 This case law is usually applied to small business. Meaning when the tenant is the weak party in the negotiation. Therefore the protective commercial lease law should not apply if the tenant is a big group, like in leasebacks. Unfortunately, it is still the case right now. At the end of the lease, the lessor (landlord) can give notice according to the notice period stated in the commercial lease. BUT, the lessor has to pay damages (indemnité d’éviction). It can represent 2,5-3 years of EBE of the operating company. Consequently, there are here two options. The first option is to negotiate with the tenant (the operator). The second option is to ask the court to appoint a judicial expert. He will calculate the legal price of the eviction (the kind of damages). However, lessor (landlord) and lessee (tenant) sign usually a settlement agreement after the demand of appointment of a judicial expert or during the expertise. Furthermore, the lessor can give notice even after the end of the lease (or there not enough time to give notice within the notice period before the end of the lease). For example, if the notice period is 6 months, the lessor can give notice after the end of the lease, for a date after six months starting on the next quarter. You may ask for legal advice from 18 months before the end of the commercial lease. The lawyer has to be specialized in the field of French commercial lease and French Leaseback in order to be able to give proper legal counsel. The operator (tenant) waives the eviction compensation in the commercial lease, knowing that this waiver is not valid (not enforceable). The judges cancel the lease. 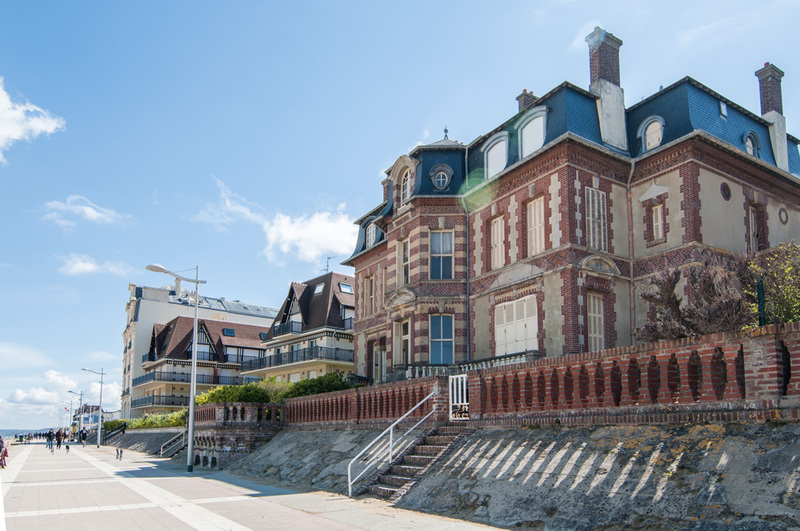 The operator of the French leaseback property (tourist residence) is not entitled to an eviction indemnity (damages called in French : indemnité d’éviction). The bad faith of the tenant, who drafted the commercial lease turns against him. This case law could be a huge step forward in the right of owners of a French leaseback property. The (tenant) lessee, is a company specialized in the management of leaseback properties. However, the operator writes the lease with bad faith. Because he pretends to waive in advance his right to damages, if the the lessor end the contract. (eviction indemnity/(damages called in French : indemnité d’éviction). According to the French law, the tenant (lessee) cannot waive in advance and in the lease his right to an eviction indemnity in case of non-renewal of the commercial lease. He can waive this right to damages AFTER signing the commercial lease. But in this case, the operator is a pro of this industry. He waives his right knowing well that this clause has without legal ground. Even if, it was for the lessor a substantial condition of the contract, ie one main reason why the buyer agreed to the leaseback. The tenant (operator) acted with the intention to willfully misrepresented the content of the lease contract. The operator of the leaseback property falsely reassured the buyer/lessor in the legitimate belief that his renunciation constituted a real commitment. This behavior is analyzed as a “wilful misrepresentation” (dol in French), meaning a fraud when writing the contract. The buyer of the French leaseback property signed a leaseback contract with a operating company. However only the tenant wrote the lease contract. The waiver to an eviction indemnity could only appear as a decisive element of the deal. Most importantly, the buyer of the French leaseback would (or might) not have signed the contract. If their attention had not been attracted by this financial interest, they might not have contracted. Indeed, the cost of more than € 13,000 claimed as compensation for eviction weakened the profitability of the operation for the owners. The legitimate belief in a waiver of the lessee continued throughout the lease. They served a notice without eviction compensation. It was served in accordance with paragraph 6 of the lease. Otherwise, the tenant is claiming a statute of limitation of 2 years to cancel the lease. However, the statute of limitation of 2 years begin to run, when the victim is informed. In this case, it is the date of the registered mail addressed to the owners by the operating company. That’s why the wilful misrepresentation (fraud) leads the judges to cancel the commercial lease. Furthermore, the court decides the paid rents were due for operating the leaseback property without a lease contract. The cancellation of the lease means it is like it had never existed. What mistakes to avoid before buying in France ? You are not buying a “financial product” – a “guaranteed investment without risk”. The selling point of “tax exemption” in France should not make you forget that it is a PROPERTY PURCHASE carried out by YOU ONLY. It is the only version of reality which will appear on the contracts and legal documents you sign in France. The fact that you neither created the documents, nor signed them in person, nor even saw the property is no excuse under French law (actually this is similar to the laws in most countries). A common mistakes is believing that the law will protect you against loss incurred when buying such property in France. The tax benefit should not lead to the purchase of a property that will be unsellable (and sometimes hard to rent) in the future. You should invest in a student residence in cities with a strong university potential (Lyon, Bordeaux, Lille, Marseille, Nice or Montpellier) to ensure an occupancy rate that is high enough for the operating leaseholder and the lessor who will be paid only if the company makes a profit. Beware of investments in medium-sized towns already jammed with housing where the developer who approaches you is offering hundreds of accommodations in addition to yours. Despite all the “guarantees” offered by the sales representative who approaches you, you must not forget the golden rule of property purchase: LOCATION, LOCATION, LOCATION. Check the exact location of the accommodation (using googlemap, google earth or mappy, for example) to avoid buying property that is too far from the main schools. Involve local experts, who know the market. We can help. We believe in LOW COST and CLIENT ORIENTED legal services in France for English speaking customers. How long is the notice period of a housing lease under the French Law? You are lessor or tenant under a housing lease contract in France. WATCH OUT: the landlord cannot give notice at any time and for any reason, see: Can I terminate the lease ? If the flat or house is UNFURNISHED, the lease is governed by the July 6th, 1989 law. Article 15 of the July 6th 1989 law states that the notice period is six months before the end of the three-year lease if it is the landlord who wishes to terminate the lease. The tenant who wants to leave his flat/house has to give a 3 months notice period, at any time during the lease. The tenant has a serious medical condition and has to move for medical reasons (if lease signed after 27th March 2014). The tenant is a beneficiary of the welfare income “RSA”. it is the main residence of the tenant. The notice period is one month for the tenant of a furnished flat. The notice period is three months for the landlord/lessor of a furnished flat. Tenant and landlord have to send the notice letter by registered mail (or by a bailiff). It is only after the tenant or the landlord accepts the notification by registered mail, that the 1 month period starts. If the tenant/the landlord does not collect the registered/return mail, the tenant/the landlord has to hire a bailiff. Ask your question to our English-speaking lawyers for advice. You own a French leaseback property ? Under French law, if the tenant is selling his commercial lease, he has to notify the lessor and ask for the approval of the new tenant. But, the lessor needs a legal justification according to the case law. In the field of French leaseback property, there are numerous such disputes wich result in a trial. We can help avoid this situation, wich could be costly and time-consuming. Following the approval clause, the transfer of the commercial lease to the buyer is submitted to the lessor for prior approval. However, the lessor cannot reject the new tenant without a strong reason. The case law is more in the tenant’s favor. If the tenant has not carried out the approval formality according to the terms of the commercial lease, he may try to prove that the lessor has accepted tacitly and unequivocally the transfer of the lease (Cass. Com. 4.1.1965). We can advice you on the best legal protection against this occurence. an offer to reach a settlement agreement which has come to nothing. The clause requiring express and written authorization for any lease transfer is legal. Nevertheless, if the lessor does not give his authorization without legal ground, the tenant can take legal action to obtain the authorization to sell the commercial lease. the transfer of the lease without the business, when the commercial lease makes the transfer of the business mandatory. What if the lessor refuses to approve the buyer? A lawyer may ask the lessor – in a letter of formal notice – to clarify his reasons for refusing to approve the potential buyer of the commercial lease of the French leaseback property. If the lessor persistently refuses to give his approval, a lawyer should be commissioned to initiate legal proceedings before the ‘juge des référés’ (Urgent Applications Judge). The lease is governed by article L. 632-1 of the Code de la construction et de l’habitation. The tenant can terminate the lease AT ANY TIME during the one year lease and WITHOUT ANY REASON (No justification is needed). The tenant must do so with a 1 MONTH’s notice. The notice period is 1 MONTH for the tenant. The lessor/landlord has to give a 3 months notice period before the end of the one year lease renewed every year. If the lessor gives a late notice or legally unjustified notice, the lease is renewed for 3 years. Investment Property France: How to deal with a tenant who is not paying rent in France? Unpaid rent, how to avoid it ? Badly, a real good guide buying property in France doesn’t exist. A leaseback scheme is based by definition on a return rental and a mortgage and tax breaks. The French parliament is encouraging the building and offer of holidays homes in France. The goal isn’t to live in France, but to invest in real estate in France. The house price is often higher than market value, because it is based on the long term rental return (the rental yields for the home owner). The buyer would ideally been informed by a French lawyer in the process of french investment and acquiring properties for sale in France. When buying an investment property in France, you don’t think the tenant could not pay rent. 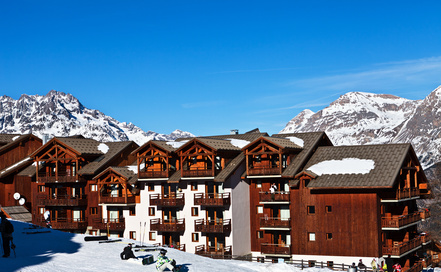 It happens sometimes with rental properties in France (French Alps, riviera, Paris …). The rental income of this French property funds the payment of your mortgage. You have to move quick and efficient. Only a specialized lawyer in France can provide you with this results on the long term. Unpaid rent in France ? What should I do ? There are some unpaid rents insurance. Usually, such insurance are more for housing properties than commercial premises. Some lessor/landlord ask the lessee/tenant to provide a third-party guarantee (“caution”). It means that X will pay the debt (unpaid rents for instance) of Y. Under the French law, you cannot have both insurance and a third-party guarantee. The owner has to choose between these two guarantees. If needed, the next step is an official order delivered by a bailiff. The “Commandement de payer” is a notice that sets a time limit for your tenant to pay you (two months for a flat lease and one month for a commercial lease). This official order has to be delivered by a bailiff (our firm can hire a bailiff and follow his work). If there a third-party guarantee (“caution”) of the lessee, the CDP has to be notified to the third-party guarantee too. If not, the landlord lose his right to ask for the conviction of the third-party guarantee. The “Commandement de payer” is mandatory before filing a case in court. It states that if the tenant does not pay the arrears of rent within one month (or two months) the landlord can ask for the cancellation of the lease in court. The CDP gives the landlord leverage and the tenant enough time to repay his debt (unpaid rent and unpaid building/common expenses). If the tenant doesn’t comply with the demands stated in the CDP, your lawyer will bring a lawsuit against the tenant (payment and/or eviction). Watch out! If you merely change the lock to avoid legal proceedings, the tenant may sue you. You risk being fined by the court and ordered to allow the tenant to stay (even if the rent is not paid). In court, you can ask for the debt, as well as the termination of the lease because of the unpaid rent. In all cases of urgency, the president of the High Court may order in a summary procedure all measures that do not encounter any serious challenge or which the existence of the dispute justifies. The president may always, even where confronted with a serious challenge, order in a summary procedure such protective measures or measures to restore (the parties) to (their) previous state as required, either to avoid an imminent damage or to abate a manifestly illegal nuisance. In cases where the existence of the obligation is not seriously challenged, he may award an interim payment to the creditor or order the mandatory performance of the obligation even where it is an obligation to do a particular thing. In case of a third-party guarantee (“caution”) of the lessee, the lessor has to file a case against this party too. If the landlord doesn’t do it, he loses his right to ask for the conviction of the third-party guarantee. Quite often, the tenant pays his debt in court during the (oral) pleadings. The tenant is entitled to ask for a 36 months term of payment (24 months for a commercial lease). The lessee will have to pay each month his rent and a part of the unpaid rent. If the tenant appears in court the day of the oral pleadings in court, the judge often sets a repayment schedule. If the tenant doesn’t pay on a timely basis, meaning every month, the lease is terminated without having to refile a claim in court. The landlord is entitled to evict the tenant, with the help of the police and a bailiff. What about the legal fees ? Who’s paying the lawyer and the bailiff ? As provided for under I of Article 75 of the Act n° 91-647 of 10 July 1991, in all proceedings, the judge will order the party obliged to pay for legal costs or, in default, the losing party, to pay to the other party the amount which he will fix on the basis of the sums outlayed but not included in the legal costs. The judge will take into consideration the rules of equity and the financial condition of the party ordered to pay. He may, even sua sponte, for reasons based on the same considerations, decide that there is no need for such order. The owner has some legal expenses. Consequently, the judge can require of the tenant that he refunds all the legal fees. Badly, it is not always the result of the judgment. Too many judges are soft on the operating companies. the operator usually argue that the economy is difficult for tourism. Even if the market is at his highest right now in France ! The judgment for eviction is called “Ordonnance d’expulsion”. The tenant has 2 months to move out voluntarily (following the notice called “Commandement de quitter les lieux”). Then, the bailiff and the police will forcibly remove the tenant from your property. Usually, the evicted company leaves voluntary the premises. According to the French law, no eviction can be enforced between November 1st and March 15th (not applicable to a commercial lease).